I’ve been thinking a lot about Miracle Max in the last couple days because I may be in need of a miracle myself! As usual, I make plans and Life throws its head back and laughs. I eluded to outside forces in earlier posts and they’ve officially diverted me. I’m moving! The best part? Guess when our lease is up. Now guess when my next competition is/was. Cute timing, right? Competition funds may end up going to a security deposit and/or first month’s rent on a new place. Nine dance is pretty much out of the question (I don’t like saying absolutely out because well, never say never!). I was planning on turning the comp into a long weekend getaway instead of just staying for the few hours that I danced, like I did at Beach Bash. I have no clue how I’ll be able to pay for a hotel room for myself and boarding for my dogs though. For those unfamiliar with Orange County, California, I can tell you that rent is absurdly expensive, especially for a single person looking to lease an apartment on her own. With or without dance, I’m still going to be using almost a full paycheck to cover rent. I’m not raking in the Benjamins or anything, but I still feel like I make a decent salary. Not for the OC apparently. Being the personal finance wizard that I am, I have already conjured the minimum $400 extra I’ll need per month to lease my own place out of my budget, and that’s without touching the money earmarked for lessons! Hopefully I won’t need much more than that, otherwise my dance lesson budget will take a hit. Ok, I didn’t so much conjure the money as extend the time I have to pay off some credit card debt, which means I can pay less per month. I heart 0% interest balance transfer offers! If the credit card company wants to give me a no-interest loan for 18 months, who am I to say no? If I was frugal before, I’m going to have to turn into Ebenezer Scrooge moving forward, but without the hoarded wealth. It’s a good thing my body functions well on carbs (since they’re the cheaper food group)! Who knows, maybe I’ll come up with enough wizardry to write Ballroom Budgeting 2. There are a lot of mixed emotions swirling inside. Roomie is embarking on a new adventure and I’m truly happy and excited for her. I’m also sad to think our weekend movie marathons, bake-a-thons and mimosas by the pool are coming to an end. As much as I love living with her, I am actually looking forward to living alone and having a place that is just mine. 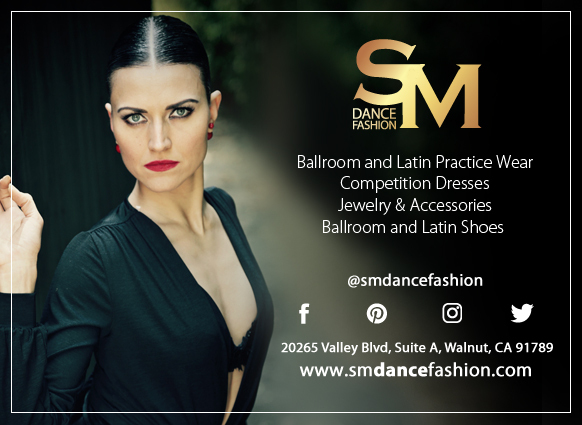 Of course, I’m nervous that I won’t be able to find a place that is affordable (i.e., allows me to continue dancing and competing). I’m also feeling some stress because three months is a little too far out to start really looking for available places and I’ve already researched the heck out of the possibilities, so I’m stuck waiting. I hate waiting. I’m not declaring 2017 the second shortest competition season ever just yet. But crikey, can’t a girl get a break? True to form, I have also reflected this week on my long-term goals, as in what exactly am I trying to accomplish by spending thousands of dollars on ballroom lessons and pro-am competitions? Is it really worth it? I’ve heard the comment over and over again: ballroom is an expensive hobby. Honestly, it hurts a little when I hear that. Ballroom isn’t a hobby for me. It’s not just an after-work diversion or a fun way to meet new people or stay in shape. Ballroom is part of who I am. If it was just a hobby, I don’t think I would be willing to make all of the sacrifices I have made and will have to make in the coming months. My long-term goals are still there and I still aim to go after them. It’s just going to take me longer to reach them. That’s where I start getting frustrated and my resolve turns into whining about the unfairness of life. Do you mind if we jump into the comparison trap and vent for a bit? I feel I have the passion, the commitment, the discipline and even the skill to become a champion-level dancer. I just don’t have the money (or the partner I don’t have to pay). I can’t afford to advance as quickly as others do. I saw an interview of the girl who beat me for first place in the scholarship round at Beach Bash and they mentioned she had only been dancing Silver for three months. You might think, “wow, that’s really impressive, only three months and she won!” Then I saw that she competed in a second style (meaning she could afford a second style) and realized the number of lessons/coachings she had in those three months was probably double or triple the number that I take. I get frustrated because I’m fighting against the clock. I’m not getting any younger. I’m working part-time toward goals that typically require full-time commitment. If all else is equal, I will continue to be surpassed by those who have the funds because they can concentrate their training into a shorter time period. I’m frustrated because I’m afraid of simply running out of time to reach my goals because I couldn’t afford to go any faster. You can’t become a “champion” dancer if you don’t compete. I want to compete and I want to go for that champion level. Ok, let’s crawl back out of the comparison trap before I get stuck there and think about some positives. First, Teacher continues to be awesomely supportive. When I texted him the news and the big question mark it put on our comp goals, he responded that we would figure it out and he’ll do whatever he can to help me. Second, while rent on my own place will take up pretty much an entire paycheck, I won’t need to worry about going through all of this again with another roommate. It’ll just be me. Third, my day job company seems to be very happy with my work, which will theoretically translate to a raise at review time, and I plan on finally outlining the third Dance Diaries book this weekend. Another book published theoretically means more book sales. So that’s two opportunities to bring in a little more income this year, which will help keep my dance shoes on my feet. Fourth, I have three months before I need to move so there’s still time to produce a miracle. Hope is not lost! I’ll be honest; this journey is wearing on me. It only seems to get harder and is very lonely at times. Sometimes I wonder if someone is trying to tell me that I’m on the wrong path, as opposed to just testing my resolve. Life is too empty without dancing though, so I think it’s all just a long, arduous test. I have this fantasy that I’ll find a studio or one-bedroom unit with smooth floors. Then I can cover a wall with mirrors and turn it into my very own tiny dance studio! How’s that for positive thinking!? I get your frustration. When I can compete, I compete in the “B/C” category and I don’t have to tell you that there are some wealthy women in that age group! One dancer I’ve seen, regularly makes the finals … in all 4 styles! She is a beautiful dancer. Geez, I wish I had that time & money. Then again, the fact that I don’t, makes each lesson, that more precious. My progress is slower, but it is my progress and it is my passion. I hear you!